Scouts around the World are multiplying efforts to raise funds for their brothers and sisters living in the different countries recently struck by natural disasters. The 1st Dersingham Scout Group in Norfolk, United Kingdom, has decided to focus on New Zealand, where Christchurch was hit by a terrible earthquake earlier during the year. Ian and his Scout troop are organising a Badge and Necker Sale, with the benefits going to be donated to the Christchurch Earthquake Appeal Fund. The Scouts aim high and therefore invite active and former Scouts and Guides of all ages from all around the World to contribute to their efforts by sending them badges or scarves. 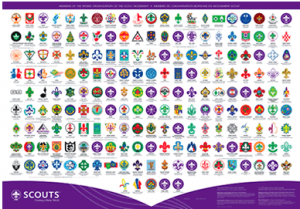 Please contact Rupert at the European Scout Office for further details.